Mobile games are shaping the world of gaming for the better. Although, many of the games are simple and endless, they are introducing the world of gaming to people that don’t normally game. With this in mind these same mobile games can leave an avid gamer feeling a little empty with the lack of a developed story and cartoon graphics. As you well may know many game developers have imported their vintage games on mobile devices and tablets. Here is a list of some of my favorite RPGS. Keep in mind they are all paid apps, but download a few this weekend and enjoy them for the nostalgia factor. 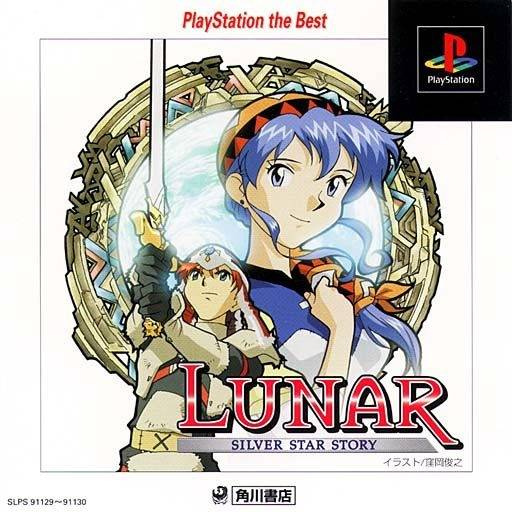 I might go too far by saying; this game is the best JRPG for the Super Nintendo I have ever played. 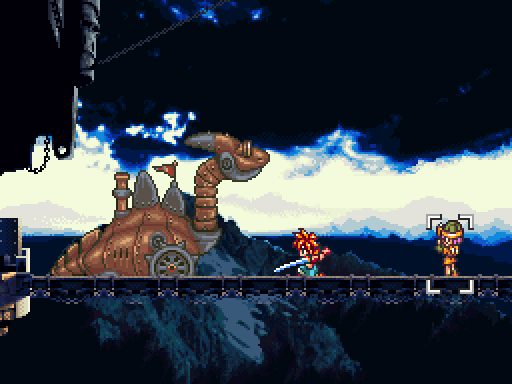 As Chrono you travel in time to the forgotten past and the distant future, and risk everything going to the End of Time. If you are a long time fan or just starting the quest to save a planet’s future this game will keep you hooked for hours. Additional content added to the game after the DS port, ensures a new experience for veteran players. At $9.99 in the Play Story or App store it is not a horrible price. This game will bring you back to 1995. 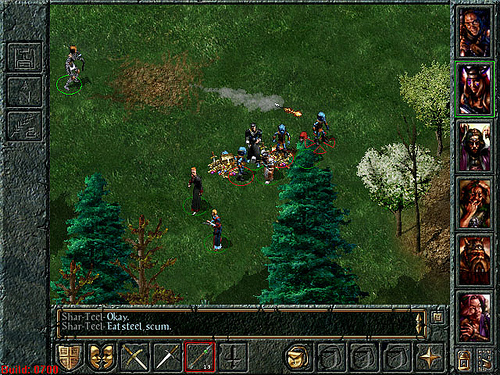 Way back in 1998 this little game released shrouded in mystery and adventure it set the standard for Dungeons & Dragons computer games. Now, BeamDog developed a port for mobile devices and tablets. Releasing an enhanced addition with all of the expansion packs and new content. This content includes new adventures and three new party members. As the player character you are forced into a world on the brink of war. True to WRPG fashion you can customize your character’s traits and abilities. It is a little bit of a learning curve for playing on a mobile device, but it is a fun journey non-the less. You can snap this up for $8.11, why such a strange price though? 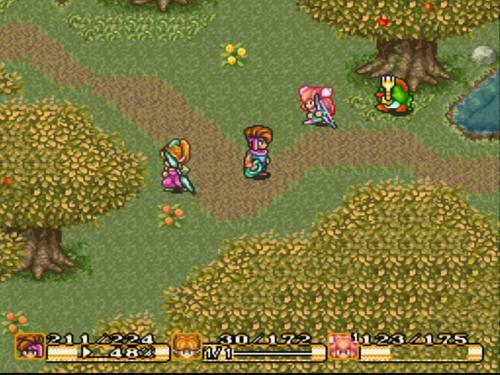 Since “The Secret of Mana” released back in 1993, this game took the world’s breath away with a new real-time combat system and an intensely rendered world. At the time, this game was setting the standard for RPGs and pushing the SNES to the limits. The story centers around three young people, Randi, Primm and Popoi, as they battle an empire trying to control the mystical power of Mana. They forgot the multiplayer option when creating the port of the game, so that fun factor is lost for me. But it shouldn’t dissuade you from getting the game at $9.99. Makes me wish to see another Mana game for new gen consoles! Released back in 1987 for the NES, this game land the foundation for RPGs. 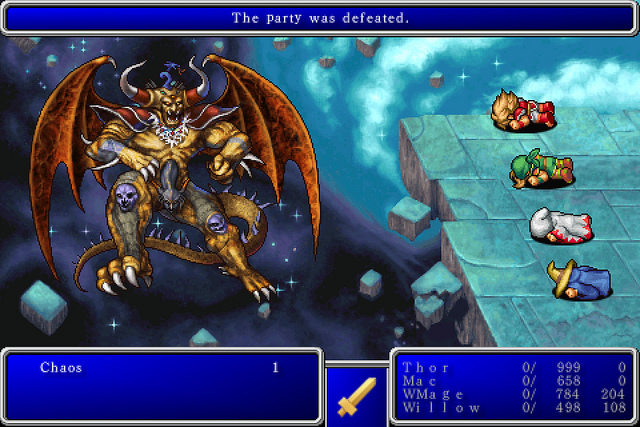 Final Fantasy created a franchise empire that spans decades and games. Taking the warriors of light the player embarks on a quest to restore crystals to their former power. A little buggy for the mobile port, you can get it for $7.99 and relieve fond memories of one of the most influential RPGs ever. Released in 1993 and remastered/remade several times over, this game holds a special place in many fans hearts. Different developers finding new ways to spruce up the game in so many ways, but no one bothered to make a third game. Now with update graphics the port has almost an hour of animated cut scenes it is sure to awe. You play as Alex, a young man who hopes to follow in the footsteps of the hero Dyne, a Dragon Master, joined by his companions protected the goddess Althena from an evil power. The controls are sensitive, but it isn’t so bad that affects game play too much. This port is only available on iOS devices for $6.99. Are there any games on this list you would add? Looks like fans of retro RPGs are well served on the iPhone. The first four are like my childhood in a nutshell haha! I had such a love for those games…still do! I may have to snag Secret of Mana for myself…and I agree, I’d love to see another in the series! So true. I’d love to see another Secret of Mana. Not sure if developers just gave up on them or whatever the reason, they are missing out on a fantastic game. I had completely forgotten Baldurs Gate was on iOS need to check that out. Any turn based RPGs seem to fit the bill for successful port quality. I haven’t tried it yet, but I would like to play FF Tactics on a tablet. I agree with that. I think BG can be a little sticky at times on the phone port but still fun to play. I wish Tactics was on the table too only because, it needs more space to allow the player to see the field they are playing on.